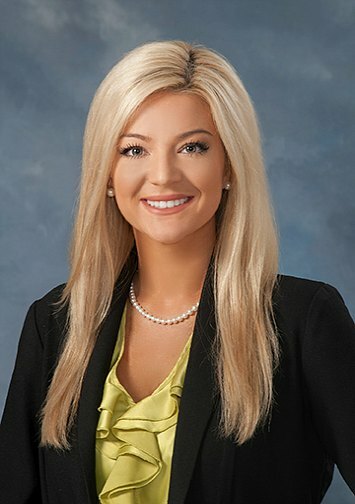 Norton Hammersley is proud to announce and welcomes Alexandra “Ally” Glauser as our latest addition to the firm and a member of our real-estate practice group. She handles matters concerning real estate as well as business law and corporate transactions. As a native of Sarasota, Mrs. Glauser is a graduate of Pine View School and is actively growing her involvement in the Sarasota community. She is a member of the Junior League of Sarasota and Designing Daughters of Sarasota where she is a part of a group of respectable and professional women committed to improving the quality of life in Sarasota County through philanthropy. She is also an active member of the Sarasota County Bar Association and a Florida Bar Business Law Section Scholar. Norton Hammersley’s real-estate practice group provides comprehensive legal representation to individual and corporate clients in the acquisition, development and sale of residential and commercial real property, leasing and financing of single-family homes, multi-family projects, residential subdivisions, hotels, office buildings, condominiums, shopping centers and other real-property developments throughout Florida. The firm is well positioned to assist its clients with real-estate transactions, including closings, tax-deferred exchanges, construction development and land-use matters, mortgage transactions, and serve as agent for several state and national title-insurance underwriters. Sarasota Real Estate Lawyer Norton Hammersley have extensive knowledge and experience with various lending and secured transaction matters, loan workouts, venture-capital financing and international banking matters, and regularly assist borrowers, commercial lending institutions, community banks, credit unions and holding companies in various loan and banking transactions.